From routine maintenance such as oil changes, tire rotations, and brake work to major work like engine overhauls, the Toyota service department at Joseph Airport Toyota can handle it all. The next time you’re in need of service make us your first choice! 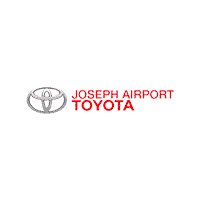 Joseph Airport Toyota is your premier Toyota dealer near Vandalia, OH area. We are proud to offer you a great selection and low prices. We look forward to earning your business. There are plenty of new Toyota vehicles on our lot for you to choose from and we are always adding new vehicles to our inventory. We have a large inventory full of quality Toyota models for you to browse in one convenient location. Our Toyota finance team is here to help you get the lease or loan you need to bring one home, and our competitive prices will make our cars, trucks, SUVs, and minivans hard to resist. Test-drive a new Toyota Corolla or Toyota Camry for a simplified and satisfying commute, or get any job done behind the wheel of a Toyota Tacoma truck or Highlander SUV. In no time, you’ll have the exact model that your lifestyle or daily routine calls for, and you’ll be able to rely on it for miles and years to come. What’s even better is that we will help you find the car that fits your budget so you won’t break the bank. We can’t wait to help you find the new Toyota of your dreams at Joseph Airport Toyota. Not everyone is ready for a new car and many people are savvy car shoppers that just like to save money. No matter who you are, we are proud to offer our customers a huge selection of used vehicles as well as our Certified Pre-Owned lineup of vehicles. We have a strong selection of used Toyota vehicles as well as other makes on our lot to give you everything you are looking for in one convenient location. When you choose one of our Certified Pre-Owned vehicles, you get our YES PLAN Certified Warranty to give you peace of mind. This warranty gives you coverage on your powertrain and is accepted nationwide so even if you buy your car from us, you can have it certified anywhere you choose. Take a look at our used car and Certified Pre-Owned selection, then come to see us at Joseph Airport Toyota to test drive one before you drive it home today. At Joseph Airport Toyota, we are here to serve you and your family. We want you to experience a different kind of car shopping. That’s why we offer a hassle-free car buying experience and we will never pressure you into a vehicle or a sale. Our professionals are here to guide you along the way to to go the extra mile for you and your family. Let us exceed your expectations when you visit our store by giving you unsurpassed customer service as we guide you through the car buying process. Take a look at our selection of new, used, and Certified Pre-Owned vehicles, then stop by to take a test drive. We look forward to seeing the smile on your face as you drive home in the vehicle of your dreams knowing you got a great deal and more cash in your pocket. Come see us today. Excellent buying experience. Nothing but good things to say. This is my second vehicle purchase. Joseph Airport has great staff, Arvin Ridley, did a great job. They also have a great warrenty and service program. Everyone here was very helpful and thorough. Arvin Ridley helped me with my used car purchase today. He was very friendly and helpful. From the test drives to the follow-up paper work, he made the process very simple. The financial folks also were very helpful. I was completly satisfied with the experience.